07 January 2016 Excellent Staff Award Q3, 2015. Office of Deputy Rector (R & I) - KCDIO level. 05 May 2012 Quality Administrative Staff Award 2011. Academic Management and Admission Division - University level. 17 March 2011 Quality Award. International Islamic University Malaysia - University level. 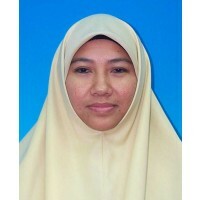 16 June 1997 Diagonal Salary Movement Award 1997. International Islamic University Malaysia - University level.